The Wellcome Trust is an independent charity funding research to improve human and animal health. Established in 1936 and with an endowment of around £15 billion, it is the UK’s largest non-governmental source of funds for biomedical research. 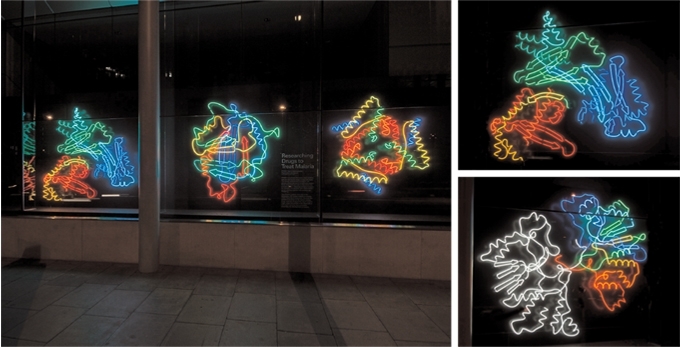 Above are designs for postcards depicting neon ‘drawings’ of chemical models of protein structures by Graphic Thought Facility, which were displayed in The Wellcome’s Trusts windows. 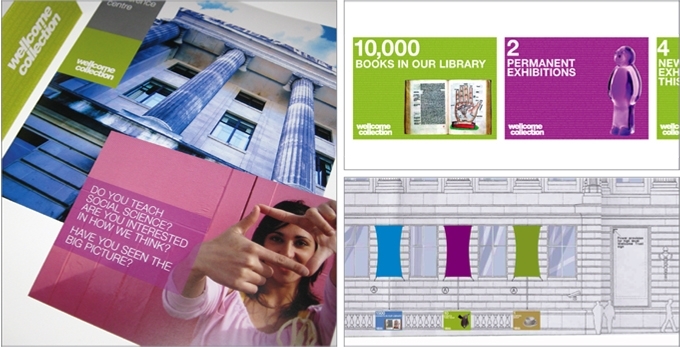 Above on 3, are designs for hoardings for the launch of the Wellcome Collection. It will house the Wellcome Library, permanent exhibitions, a café and bookshop, and a programme of events and temporary exhibitions exploring the connections between medicine, life and art. 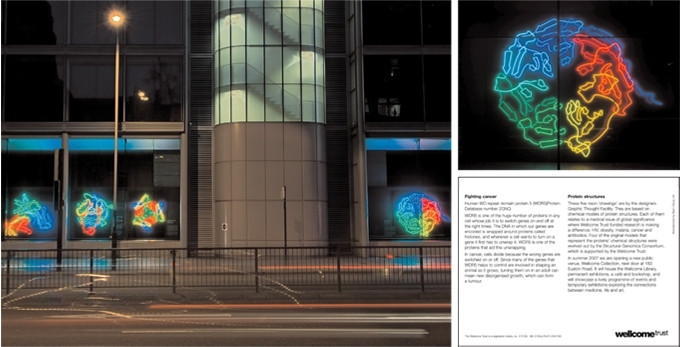 (Freelance for Wellcome Trust).